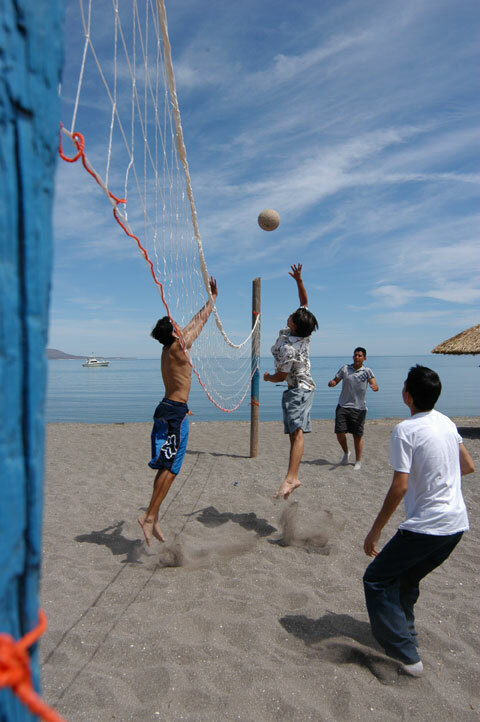 Boost performance, reduce your risk of injury and beat boredom! Did you know that each day iFit Personal Trainer, Natalie Vetica, broadcasts a FREE live workout that you can do right along with her? The video is captured and posted for you to view on your internet connected TV, computer or mobile device. These include: FREE Yoga videos, HIIT Videos and much more! Check it out! Wondering which Phone fitness apps are worth your time and money? 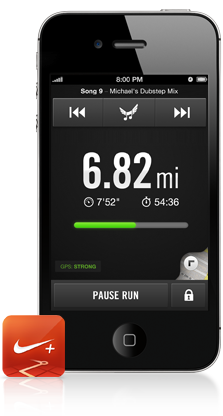 With the right fitness app on your iPhone, you can get the necessary boost you need for a great workout! Here are some essential fitness apps which are worth checking out. Now you can log your food and exercise wherever and whenever you'd like - even if you can't get to a computer. With our mobile apps for iPhone, iPad, Android, Blackberry, and Windows Phone 7, your MyFitnessPal account is always at your finger tips. All our apps work with our website and have access to the same comprehensive database of over 2,648,000 foods and restaurant items. Any changes you make on your phone will be synchronized to the web and vice versa — so you always have complete and up-to-date access to your account. Track your weight, measurements and more. The most popular running app on iTunes helps you map your runs, track your progress and get the motivation you need to reach your goals. No sensor or additional products needed, all you need to do is just grab your phone and go. It is compatible with iPhone 3GS, iPhone 4, iPhone 4S, iPod touch (3rd generation), iPod touch (4th generation) and iPad and requires iOS 4.0 or later. Its exceptionally well-designed and easy to manage as well user interface together with its editable voice feedback, and a "power song" option make it an absolute must-have for every fitness enthusiast. Turn your phone into a powerful fitness trainer that tracks speed, distance and calories burned. 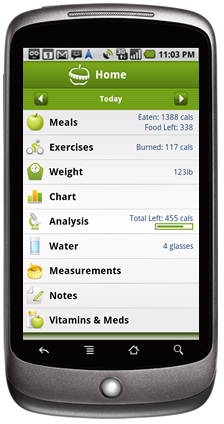 See data from your wireless fitness sensors if your Android is ANT+™ enabled or if you have an ANT+ adapter for iPhone. Featured in USA Today, Wall Street Journal, NPR Morning Edition, Health Magazine and more! The #1 Diet app in US, Canada, UK and Australia, this app packs a great deal of functionality in one app! With over 40 screens, a database of 430,000 foods, 500 exercises, bar code scanner, works with MyNetDiary and many more features. You can update and sync via the app or website as well. Recommended by ESPN Magazine, this app has 1700+ unique exercises at your disposal. 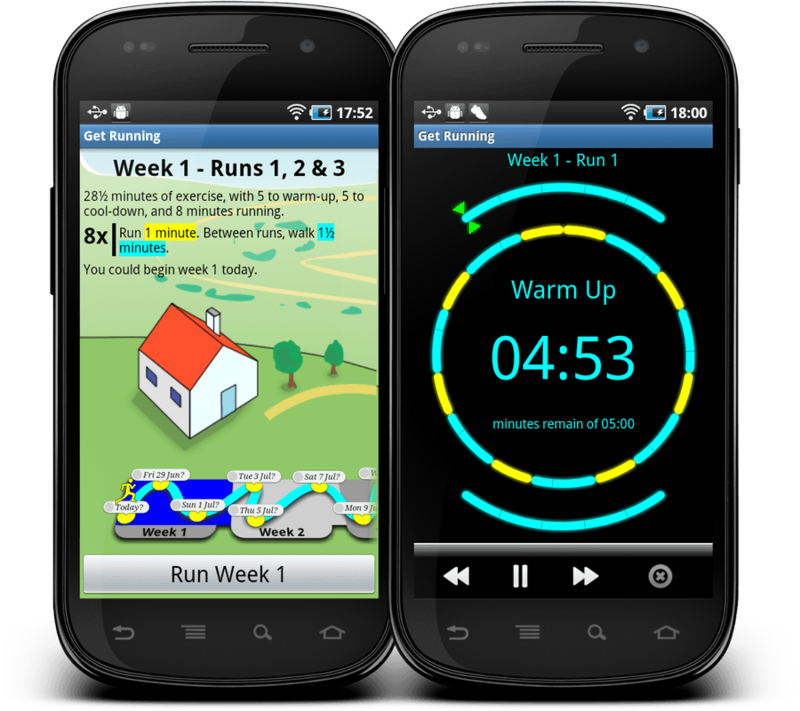 This revolutionary app will help you maintain a training regimen. With this app, you will find the workout tracking process simple and easy in order to sustain your motivation and enforce your commitment to your fitness goals. 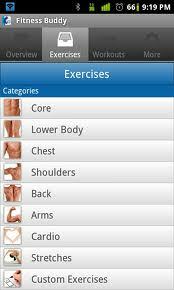 Its quick and simple workout tracking and ability to build workout routines has drawn many. Apart from that, it contains detailed exercise instructions and muscle categorizations, 4000+ exercise photos and animations (retina display resolution), comprehensive exercises for all major equipments including barbell, ez curl bar, dumbbells, kettlebells, resistance bands, medicine ball, machines, and stability balls etc. 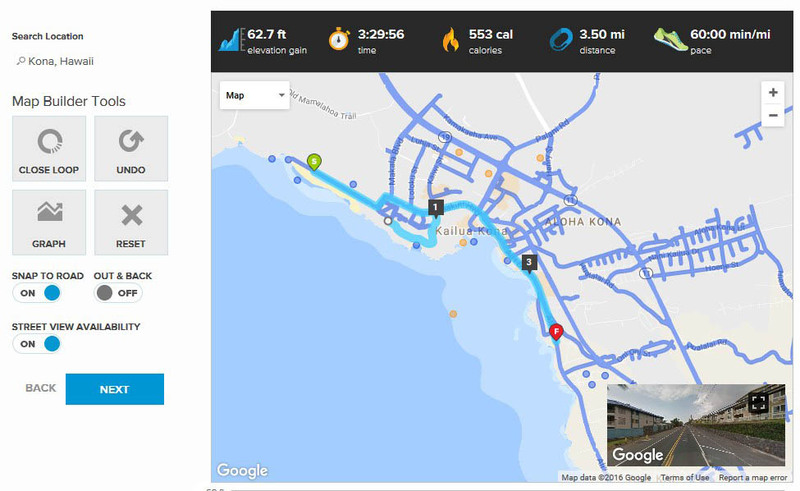 This app turns your phone into a powerful GPS-enabled fitness computer, giving you feedback and motivation while you workout. 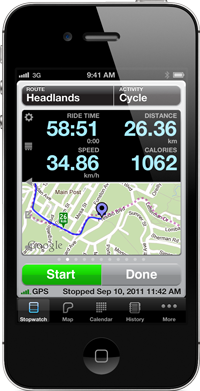 Cyclemeter continually records your time, location, distance, elevation, and speed - years of workouts only take up the space of a few songs. Stop and start recording on-screen, with your earphone remote, or with automatic stop detection. You can also track heart rate, bike speed, and bike cadence with sensor accessories from Wahoo Fitness which need to be purchased separately. Just as the name suggests, this app is designed to move you from your couch to 5k in about 2 months time. This app helps you walk/run 25 to 35 minutes over nine weeks, increasing the amount of running each week, with the goal of being able to run for 3 miles (5K) at the end of the nine weeks. This personal weight dashboard helps you track your weight in the privacy of your iPhone in less than 6 seconds daily. All you need to do is enter your weight daily and the body mass index page will help you find out how much weight you need to lose. With a simple press of the target icons, you can set your target weight with this app. Who exercises without music?! An essential addition to your fitness regimen, Spotify gives you instant access to millions of songs on your iPhone, iPad & iPod Touch. 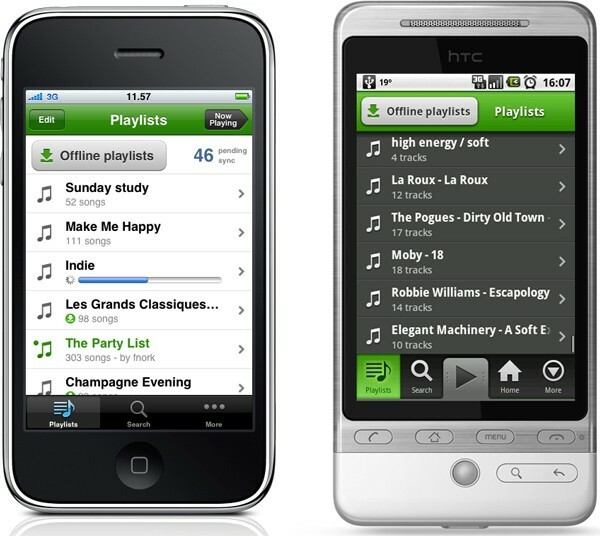 With the Spotify app, you can choose to listen for free, or subscribe to Spotify Premium. 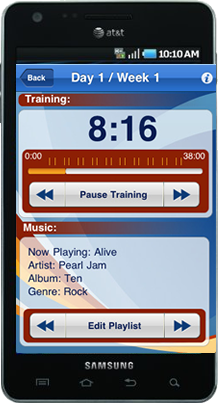 You can also create and share your running playlists with others! 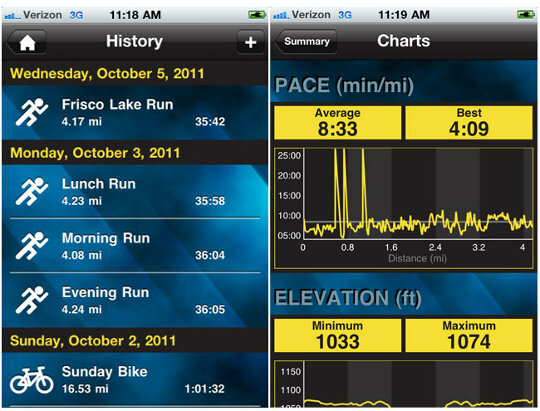 This free app offers training programs for 1 mile, 5K, 10K, a half-marathon or a full marathon. With this, you can choose the program you want to help you build endurance over a period of weeks. Apart from the free trial, you can choose to pay for full programs ($1.99 to $5.99). Coaching will guide you when you need to speed up or slow down. Customize your Facebook cover photo to show your love of running! Simply right click on the image you want and select "Save Image As" and save the image onto your computer. Login to Facebook and hover over your cover image until you see "Change Cover". Select "Upload Photo"
Select the image and save changes. Break out those foam rollers folks! Here are some great ways to use them for what ails your aching muscles pre-workout or afterwards. It’s not easy to run outdoors during the winter in Anchorage, Alaska. So when Christine Clark trained at home in Anchorage for the 2000 U.S. Olympic Trials Marathon (which was held in early March in South Carolina), Clark did almost all of her running inside on a treadmill. She was not considered a strong contender to make the Olympic team but Clark surprised everyone by winning the trials and becoming the only woman to represent the U.S. in the Olympic Marathon in Sydney. If running on a treadmill can prepare an unheralded elite runner to make an Olympic team, it can prepare you for your next outdoor running event as well. Use these tips to get the most out of your treadmill training for 5K’s, 10K’s, half-marathons and even marathons. Running is running. Being indoors on a treadmill doesn’t require you to train differently for running events than you normally would train outdoors on the roads. In fact, you should try to duplicate the proven methods of outdoor run training as closely as possible on your machine. What are the proven methods? First of all, to run well you need to run often—at least every other day. You’ll want to allow plenty of time to get in shape for the distance you’re planning to run, allowing at least eight weeks for a 5K and at least 18 weeks for a marathon. Start with a few weeks devoted to gradually increasing the total amount of running you do each week. Then turn your focus toward challenging yourself with a couple of higher-intensity runs each week. One of these workouts can be a Strength Builder or Speed Booster. The other can be an Aerobic Maximizer. Finally, cut back on your running to let your body regenerate so you can run your event on fresh legs. In the final week before an event aim to run about 50 percent less than you did the week before. Let’s face it: Boredom can be a problem on the treadmill. Distractions such as watching television and listening to music (or, if you have equipment with iFit Live technology, running virtually using street view) can help. Another way to keep things interesting is to introduce subtle variations into workouts. While a 45-minute run at a steady, moderate pace in a beautiful park on a warm spring day is unlikely to be boring, the same run on a treadmill might be. A simple way to make the time go by faster is to break those 45 minutes into one-minute segments and change your speed or the incline at the end of each minute. These changes should be small so that you’re still getting basically the same workout. For example, at the end of the first minute you might decrease your speed from 6.2 mph to 6.1 mph; at the end of the second minute you might increase the incline from 1 percent to 2 percent. Even though the changes are small, they make a big difference in how you experience the run because you’re never looking farther ahead then one minute. Your mind is given something practical to focus on, which makes the time pass faster. There are some advantages to training on a treadmill for outdoor running events. Exploit them! One advantage is that on a treadmill you can run at very precise speeds. If you have a time goal in mind for your event, you can do some runs at the exact pace associated with your time goal to get your body and mind used to it. A second advantage of running indoors is climate control. Not only can you avoid extremes in temperature that are unavoidable outdoors, but you can also manipulate your indoor climate to prepare for anticipated conditions in your event. One of the theories as to how Christine Clark won the 2000 U.S. Olympic Trials Marathon was that this event took place on a warm day. Since Clark had done most of her training indoors in a warm room, she was prepared for it, whereas her rivals who had trained outdoors over the winter were not. Don’t lose your “road feel”. 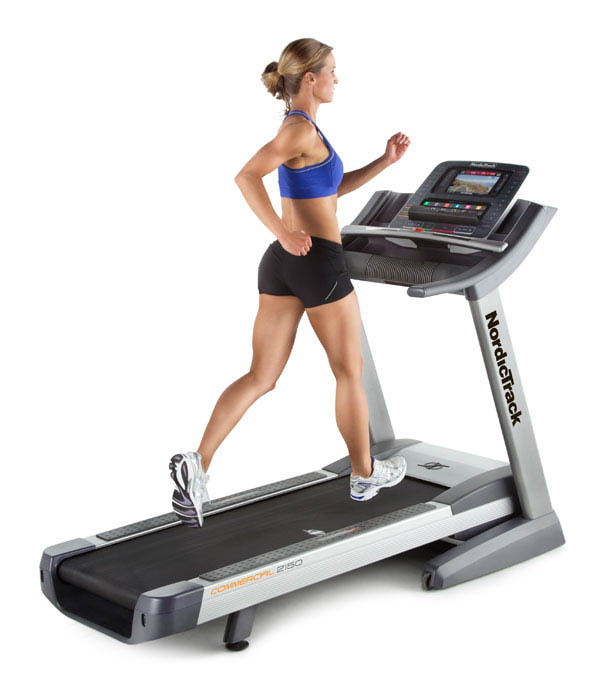 Running on a treadmill is not exactly the same as running outdoors. First of all, there are subtle differences in movement patterns. For this reason runners who train exclusively on a treadmill for a while tend to feel somewhat awkward when they run outdoors. Surfaces are also different. Impact forces are greater on asphalt than they are on the belt of a treadmill. If you run exclusively indoors your legs will probably get beat up a lot more in an outdoor running event than they would if you did some training outside. The treadmill is a great training tool for outdoor running events, but its best not to rely on it too heavily. Doing just enough outdoor running to maintain your “road feel” will set you up for a better experience in your next event. Matt Fitzgerald is the author of Racing Weight: How to Get Lean for Peak Performance and serves as a Training Intelligence Specialist for PEAR Sports.